The Leibster Awards You and I! Shared Topic Idea: Questing with your alts! I Took a Break, But I am Back! Amerence Love WoW Copyright 2015. Powered by Blogger. A World of Warcraft Blog about Shared Topic Ideas and Community Events! Surprise surprise! 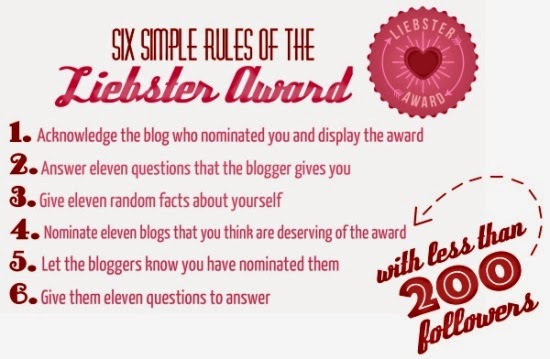 I love surprises, I know the Leibster Awards was going on lately around the blogging community and I was also curious about it. It's really a wonderful meme for everyone to join in but someone has to nominate you first then you nominate others, It still question me who really started the whole thing I know this awards probably been going on for years now. But the fact that someone nominated you and recognized you as a blogger that just validate your efforts that someone enjoys reading your blog and that they love sharing your thoughts with the community. Okay so Jstmel asked these 11 questions for me to answer, here goes! I apologized in advance if this blog post seems to be so long, Also, for those who didn't know yet that I am actively blogging over at AmerPriest blog, I will post a logo of the award there to linked here as well. After answering the questions I will also share 11 random facts about Me, oh my! How did you get started playing WoW (World of Warcraft)? I started playing World of Warcrft when my ex-bf introduced it to me, while him and his bestfriend started playing it. I was still playing Ragnarok Online at that time. Until I decided i should give it a try but I never register an account on my own yet, So I made a priest on my ex-bf account. It was during pre-bc so far I really liked it. And after a week I finally made and paid my own account. World of Warcraft was my first MMORPG. What other games were you playing when you discovered WoW? I was playing AION, Rift and Forsaken World. These are also types of MMORPG. I didn't last playing with them and still brings me back to World of Warcraft. I guess because I have more friends in WoW and I realized that it's hard to also play two accounts, two mmorpg and two subscription every month. So i decided to stick with WoW. Did you create your blog because of WoW or another reason? Yes, I created my blog because of World of Warcraft. I began blogging back in Burning Crusade probably it was around year of 2006-2007 mid year. My first blog titled was Christine's Blog, then i renamed it, deleted the blog and I created Amerence Love WoW, and then I updated AmerPriest Blog. So I am managing two sites now. Blogging for everyone is source of an outlet to share thoughts about the game, your characters and other sort of things. You also get to meet bloggers and other players not just here in US but whole world and I loved that idea. Also, being a Blog Azeroth Forums moderator helping the community as well, is an honor too. What is your least favorite zone and why? The least favorite zone is Thousand Needles, I guess because after the Cataclysm expansion the aftermath was very devastating that the whole world of Azeroth was shaken and thousand needles didn't escape the wrath. It pretty much destroyed the whole zone and that now a days all you pretty much see mostly there is surrounded with just water. It's depressing really. What old raid/dungeon do you miss most and why? The old raid and dungeon I really do miss is Karazhan located around Deadwind Pass area, that you can easily get there from Duskwood. Burning Crusade days was totally fun raiding there. I miss that zone, not to mention you can still go there to farm the Firey Darkhorse mount off from first boss. The place is still huge the fights are always fun. If you could be a dungeon/raid boss, what would your tag lines (the things you would shout at players as they beat upon you) be? If I could be a dungeon raid boss, I like to be a "Lady Dragonia". I always love dragon figures, or something about them just very legendary, epic, old and classic. Maybe one of my taglines will be "I am Lady Dragonia, one of the guardians of Azeroth, thou shall not speak unkindly to me" "My Fire breath will vanish your existence." "Behold, The power of Lady Dragonia, You adventurer will be punished!" - I don't know something like that haha. Do you recall your first feelings about WoW and what were they? My First feelings about WoW was excitement and commitment I guess because without it I will not be playing this game for more than 8yrs now. Just tells you that despite some time off, I still keep coming back for more and able to accomplish things with dedication and commitement either to myself, to my previous and current guilds, to my friends. Excitement brings lots of positive attitude while playing the game and to have fun. What aggrivates you most about WoW as it is today and why? I was just talking about this last month when I was still in PvP server. It aggrivates me when I wanted to quest peacefully and a horde is camping you and kills you. I understand the concept of the game but its really no fun anymore when someone tries to stop that from you, its wasting time to finish a quest because you can't barely moved on. This was why I moved all my 90's in PvE server now so I ddin't have to worry about it. Horde or Alliance and why? Always been an Alliance since i started playing the game. I guess because most of my friends are alliance and the reason why I never played a horde. Maybe someday I will play a Horde character see how things on that side as well. This question seems so easy but it's actually hard as I watched so many movies lately, but the most recent one that i consider a favorite this year was "Frozen, The Walt Disney animated movie" - Why? Because Its a modernized animated film, not like the old classic fairy tale ending with prince charming and stuff, its about the Queen of the land and its people. Her suffering, her magical powers just the whole movie was fun, adventurous, and very entertaining. Not only that My current ring tone on my phone is the movie soundtrack "Let it go" but a musical like music box version of the song. Happy - by Pharrell Williams It's very groovy, lots of meaning of the song. It's pretty much a happy song. Love it! 11 Random Facts about Me... here goes! I recently been driving a bike to get to work, no car at the moment. I guess it will also help me exercise get the fats burn lol. Biking is fun. I love to cook and bake from scratch and expirement, I guess I learned it from my grandparents and my parents. But I also love to eat any different cuisine. Chinese food is my favorite. My PC and Printer is in the living room with my VIZIO monitor, I love it because i can watch movies directly just using my internet and not to worry about paying a TV/Cable services. and I play games with the widest screen ever. Im asian, I am filipino I was born in Philippines But I am an American Citizen. I have long, black, thick hair. I speak Tagalog, Cebuano, Waray, English and little bit of Spanish. I want to learn how to speak Korean and Japanese. I have a huge doggie bear as I call it, with some kitty, and other stuff toys in my bed and I hug them when I sleep. I love anime, I also read Manga books (Japanese novels). I love to Dance, was a former member of a dance troupe at my alma mater University School for 12 years during my Grade school, High school and College. I also love Karaoke! I think I can sing well enough maybe lol and I can also play a little bit of guitar and other folk instruments. I joined Beauty pageants before and My mom was my biggest supporter for all of that. I was titled "Miss Intramurals '97" I was also chosen to represent Biology Department in College back in 2001 i think forgot the exact year But I won the title of "Miss Talent". My last prestigious pageant was representing the whole City of where I grow up in Cebu City back home as region 7 on "Miss Philippines" and "Miss Cebu Tourism" but I was still so young that the age needed to be 18yrs-23yrs old. and I was about a month to turn to 18 but they advice me to back out or I will get disqualified if I continue. I still have all my sash that I kept and pictures never regret it at all, It was a fun experience. Weird but I always remember all my dreams all the time. I was gonna nominate JD Kenada, Dragonray, Ancient, Navimie, Cymre, Wowstorylines and many more but these peeps are already been nominated! dang it... lol I made 12 nominees anyway, just in case others been nominated already then I will still have more than 5 bloggers in the list. These folks! follow them in twitter as well! they are great bloggers. When did you start blogging , What it's all about and why? What's your favorite Trasmog gear? What's your current achievement score? Whats the most favorite one and why? Blah, These are just random questions i thought about.. Sorry if some maybe difficult or maybe not.. It's actually really common questions. But Im sure you'll be able to answer all of them! Looking forward to read your response guys! Thanks again JstMel for nominating me! Happy Blogging everyone! and as always Happy gaming as well. I love reading the little things about yourself! And OMG I didn't know there were all those rules about less than a certain amount of followers! Hi Navimie! Nice to see you here hon, I also linked this to my new blog site too on a logo page though lol, Anyway, Yea I really like the random stuff about us part. Its very interesting its like we are really getting to know each other moment for all the bloggers we know very little about ourselves.